** If the ad is up, the item is still available. This is a rare collector's item. 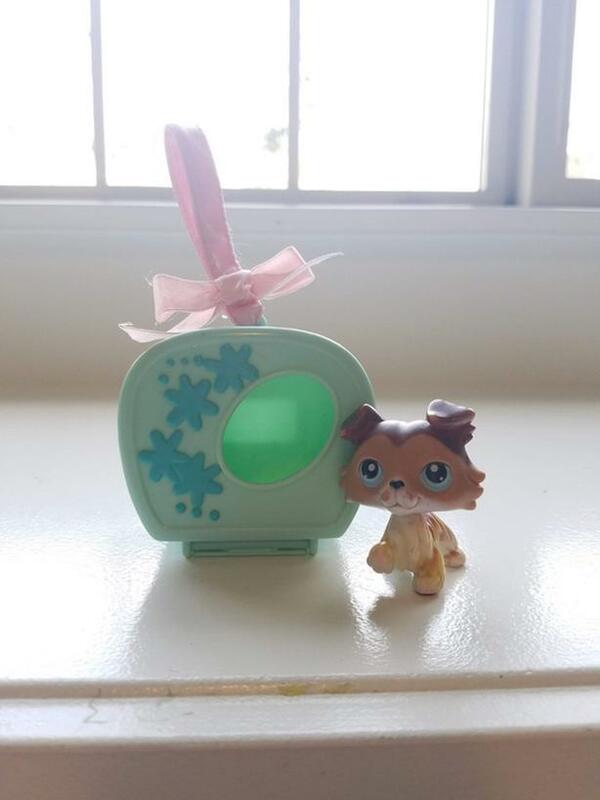 Littlest Pet Shop LPS #58 Sage Collie Raised Paw Rare -- authentic, genuine collector's item. Very good used condition. Pink magnet on left front paw. Also included is baby blue LPS house with pink bow.